Our reputation for cooperation and customer service is unmatched in the industry. We understand your bottom line and offer you a worry-free, cost-effective way to get your job done. You can rely on us to make sure that our operation is DOL compliant and the work meets your specifications. Contract work for the commercial timber industry, as well as turn-key private landowner services. Environmental wetlands, reclamation projects, pre-commercial thinning, contract nursery crews, boundary line maintenance, consulting services, specialized farm labor tasks. 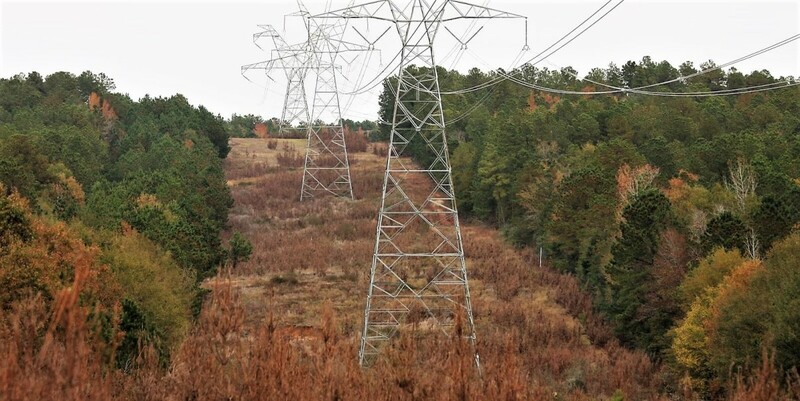 Transmission lines, distribution lines, and pipe lines. Low volume application has economic as well as environmental benefits. 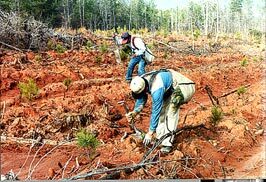 With low-volume foliar, only the targeted species (like hardwoods and pine) are treated. Plants that benefit wildlife, like forbs, increase in coverage due to decreased competition from the target species. Low-volume foliar decreases application cost because the mix is applied only to the target species. Site preparation, foliar release, herbaceous weed control, liquid spot application, injection/TSI, T-Boom band spraying, hardwood release, specialized invasive species treatment. ©2018 Superior Forestry Service, Inc.